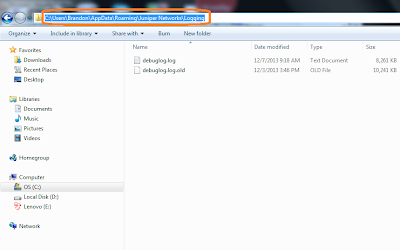 Juniper Terminal Services Client is a software for VPN access provided by Juniper Networks. I encountered issue when it suddenly stopped working properly two days ago. I began to realize that it was due to some Windows updates which happened three days ago. After checking out the Windows updates history, I found that I had installed Internet Explorer 11 during that time and I knew I couldn't be more right. 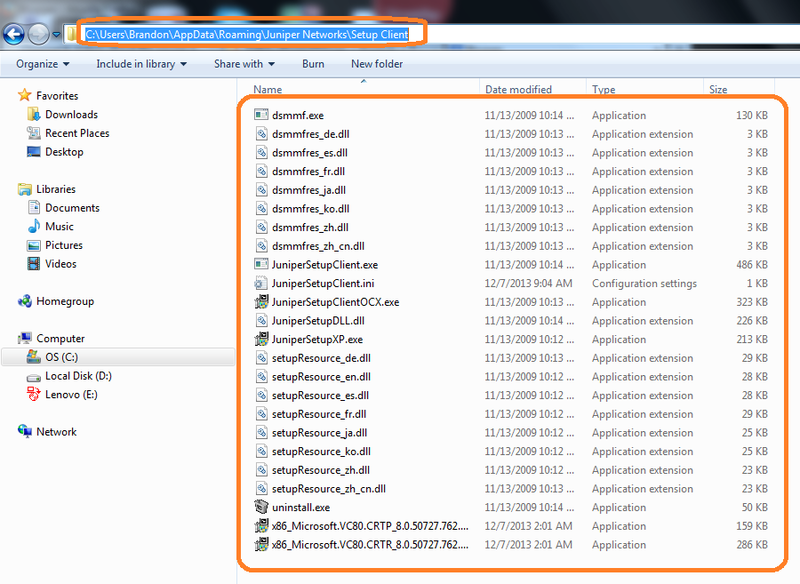 It seems like upgrading to IE 11 had caused this issue - tested with other PC with IE 6 and it worked normally. Hence, since currently I am using Firefox version 26.0 and I have no reason to downgrade, I figure that it would be a much worthy effort to download my Internet Explorer to previous version by uninstalling the updates I did three days ago and guess what ? I managed to get Juniper Terminal Services Client come back working. Downgrade IE 11 to previous version - which Juniper Terminal Services Client had worked - which in my case was IE 10. 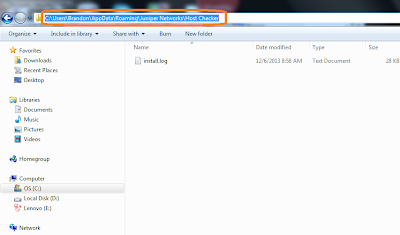 Uninstall Juniper Terminal Services Client - you can do that from control panel/programs. Reset IE settings to default - Internet Options/Advanced/Reset. Do not apply recommended security settings. 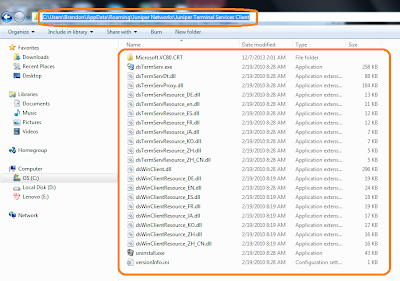 Run IE as administrator - for those using Windows Vista and above. Go through the normal process of setting up Juniper Terminal Services Client. 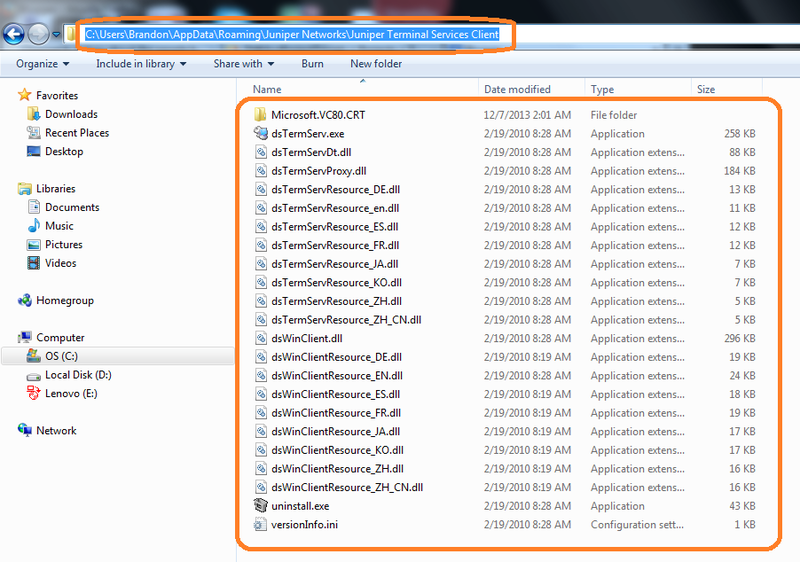 Make sure that security software doesn't block - I am using free 360 and I found that it was detecting dsTermServ.exe as a potential threat. 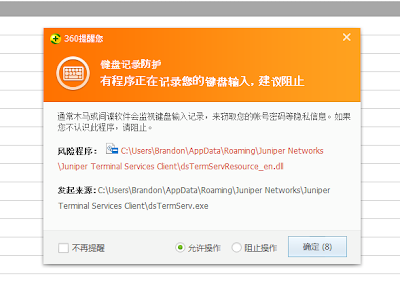 Juniper Terminal Services ActiveX - you need to 'Allow' it from IE. 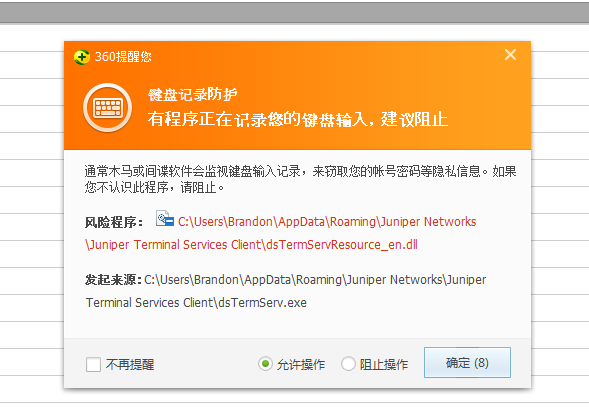 Juniper Terminal Services Client - you need to install it according to the instruction. Microsoft.VC80.CRT - this will be installed automatically if the above two processes were done properly. I would like to bet that without downgrading to IE 10, by reinstalling Juniper Terminal Services Client properly, it could work on IE 11 - I am not sure about this one as I do not wish to go through the hassle again - this took me one working day to figure out via trial and error. 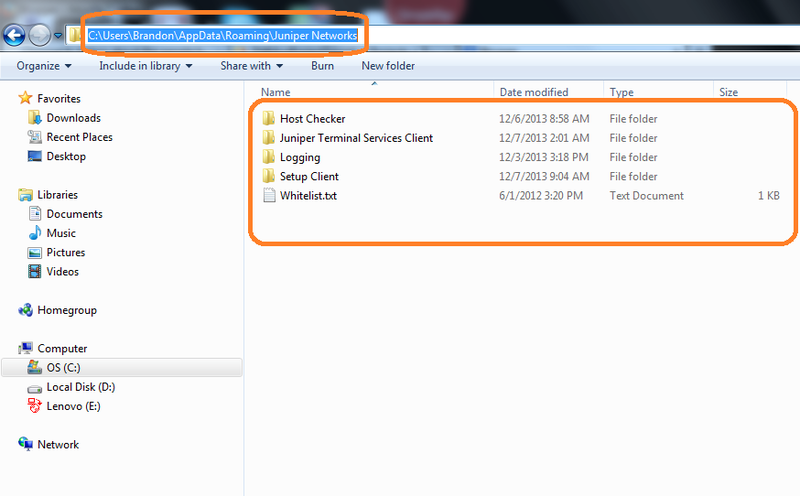 Nevertheless, if it doesn't, it means Juniper Terminal Services Client doesn't work on IE 11. 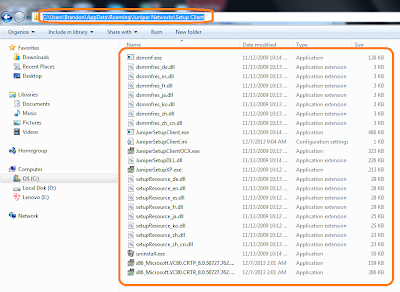 I have also found that it works on IE 6 but doesn't seem to work on IE 8. The trend of security updates is causing compatibility issues for the software industry and it is getting worst - this is the reason why Oracle invented the concept of Red Stack - all components work together seamlessly under a unified platform provided by a single vendor.